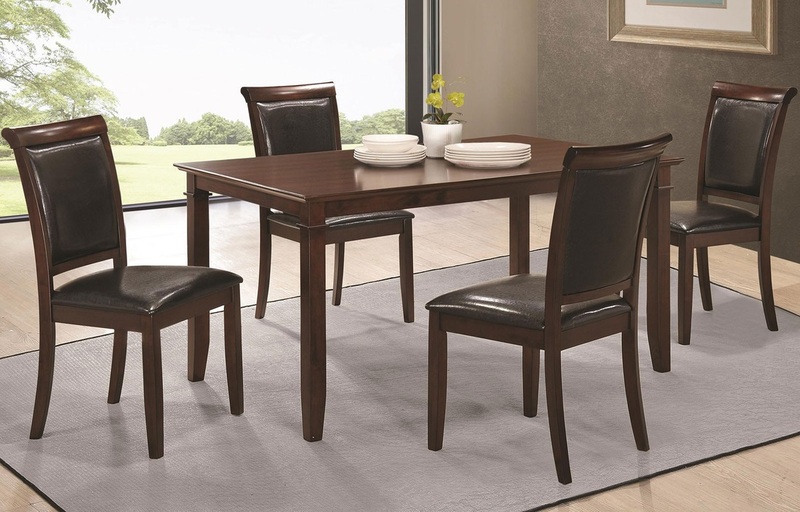 This Benton Dining Room Set by Coaster Furniture is transitional with Louis Philippe details. It can fit well in to a traditional or transitional setting. The upholstered parson chairs are durable, easy to care for and comfortable. Fixed table top with curved back upholstered chairs will transition into any decor with ease. This group is the perfect choice for smaller rooms and studio apartments.